What are health care sharing plans and ministries? You probably went on line frantically looking for options. Something that didn't cost the same amount as rent or a mortgage. You also don't want to pay the 2.5% of income penalty. There's really only one option that address both of these concerns. 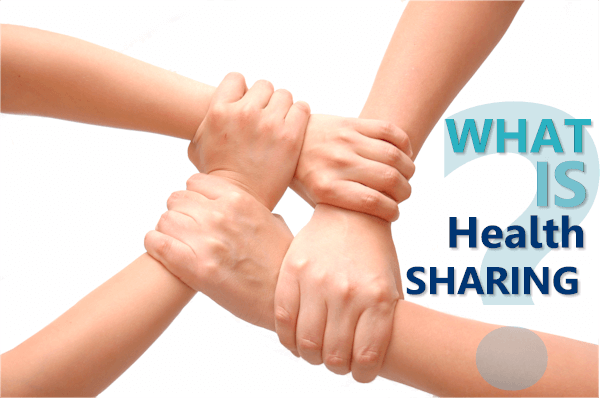 What are health sharing ministries? It's a new term to many people so let's really dive into and discuss the good and bad so you can make an informed decision. Like the detectives always say, "From the beginning, Mam"
Where did health sharing plans come from? Health sharing plans have been around for a long long time. Just under the radar and with a pretty small footprint. Originally, they were just a way for similarly minded individuals to share health care costs. This was in lieu of health insurance. This usually revolved around a shared religious belief but we now have options that are pretty relaxed. We'll get to that part in a minute. So we have companies that coordinate the sharing of health care costs among members. A pretty small phenomenon for decades. Enter the ACA (Affordable Care Act) law. The ACA law is literally 1000's of pages. It's the ultimate example of Congress' ability to make legislative sausage. Especially with such a contested law where every vote was needed to pass. For this reason, there are lots of carve-outs, add-ons, and footnotes. One of them specifically dealt with health sharing ministries and plans. Let's first talk about the "bat" that the ACA law uses. Basically, you have to have a certain level of qualified health insurance or pay a penalty. The penalty is usually just under $700/person or 2.5% of income...whichever is higher. That's a pretty big bat especially for people who earn too much to get a tax credit. Back to the Congressional sausage maker. Some of the legislators wanted to offer people an exemption for having to get ACA coverage along religious lines. These were more conservative politicians of course. The health sharing ministries were the logical choice to fit this role since they already existed and were loosely based on religious affiliation. We have our exemption for the ACA penalty. Way back in 2012, we wrote an article on how the ACA law was going to explode the cost of coverage if you didn't qualify for a tax credit. It was all right there in the design of the plan. Needless to say, costs have roughly doubled or tripled since 2014. If you don't get a tax credit, you've been hit very hard. A collective "duhhh" is probably emanating from this statement. "Why do you think we're reading THIS??" And back to millions of people looking for an alternative to ACA health plans. Health sharing plans ARE the only alternative that allows you to avoid the penalty and actually cover health care costs. So...what are health sharing plans? First, understand that health sharing plans are not health insurance. Essentially, health sharing plans are memberships. You pay a monthly amount to have the health sharing ministry (so called due to the religious exemption mentioned above). In return, the company will coordinate payment of health care costs among its members. Which begs the question...isn't that what health insurance does? Yes...but there are some important differences we'll discuss below in the health sharing versus health insurance section. These are some of the big ones. You can research more on health share versus health insurance or our health share plan comparison. It's very important to really understand the differences. What are The Main Health Share Ministries? The word "ministry" usually throws people that are just desperately trying to afford health coverage and avoid the penalty. Essentially, health share plans were adopted as a way to get out of the ACA requirement. They were couched in a religious exemption because the Congress couldn't just say you can avoid the penalty "because you feel like it". For this reason, they are health share ministries. For this reason (and many others), they are definitely our favorite of the 6. There were 6 health share ministries that were officially given an exemption under the ACA law. We have a comprehensive comparison of the the major health share companies here. The clear winner across many fronts is AlieraCare (Trinity Healthshare is the underlying ministry) which why we focus on them. More information on them here. 20 years in the health market has taught us a few things! The key point is that we avoid the penalty while getting coverage for health care costs so this is the list to start with. Let's talk about which one might be best and why. In our view, after researching and dealing with these companies, AlieraCare (Trinity Healthshare is Ministry, AlieraCare is administrator) is the clear winner. We get into more detail at our best health share company page, but here are the highlights. Is priced similarly to pre 2014 plans which matches where they should be priced. 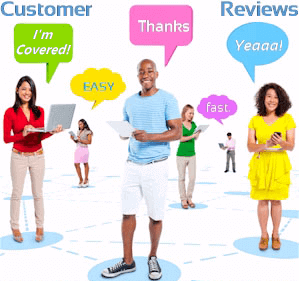 Uses a broad, nationwide PPO network. You have a card to show the doctor/hospital! Choice of Member Responsibility amounts (similar to deductibles) and per incident max benefits. They're just doing everything right in this market segment and we fully expect them to run away with it. They are growing significantly now which gives them more strength. Health sharing ministries do not have Department of Insurance protections so it's real important that we pick the strongest of the pack. That's AlieraCare (Trinity Healthshare) by far! Again, we have an entire comparison of the health share ministries and another article on how to pick the best health share plan. What about health sharing pro's and con's? This is really the key question. Of course, we're comparing health sharing plans like AlieraCare to Obamacare or ACA health insurance plans. Health sharing is NOT health insurance as we detailed above. First, one main difference may make the decision pretty easy. If you are outside open enrollment and do not have a Special Enrollment trigger (usually loss of group coverage, marriage, birth, or move that affects options), we may not be able to enroll in traditional ACA health insurance. Health sharing plans do not have an open enrollment period. We can apply anytime of the year. The only constraint deals with effective dates. So...what if we can get either health insurance or health sharing? That's where we really need to compare the options. For more detail, you can check out the health insurance versus health sharing but here are key points. For this exercise, let's bullet point the pro's and con's. The decision really comes down to cost. If you get a tax credit, you're probably not looking at health sharing plans. But...if you can't qualify for a tax credit, the cost of ACA health plans have exploded since 2014. We're seeing monthly costs of $1000/person for people in their 60's and that's on a Bronze plan! It's just not possible for many couples to pay $25-30K per year in health premium. So health sharing plans are running about 1/3rd to 1/2 the rate of the unsubsidized ACA plans. That and of course not getting hit with the 2.5% penalty for not having coverage. Will they pay if something happens? That question is the one reason we only deal with AlieraCare's plans. They pass the smell test on monthly costs. They are roughly cost of what we had before 2014 (ACA law went into effect). They also resemble what we had before (waiting periods, $1M life max, etc). 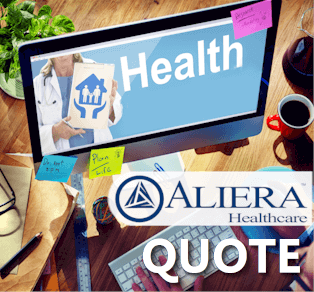 AlieraCare (Trinity Healthshare) sends out a monthly tally of medical expenses processed and paid. Roughly 30% of the renewal open enrollment renewals without tax credits went with AlieraCare plans across major health brokers. A growing member's base is critical to paying future medical expenses. That's true for health sharing as well as health insurance. 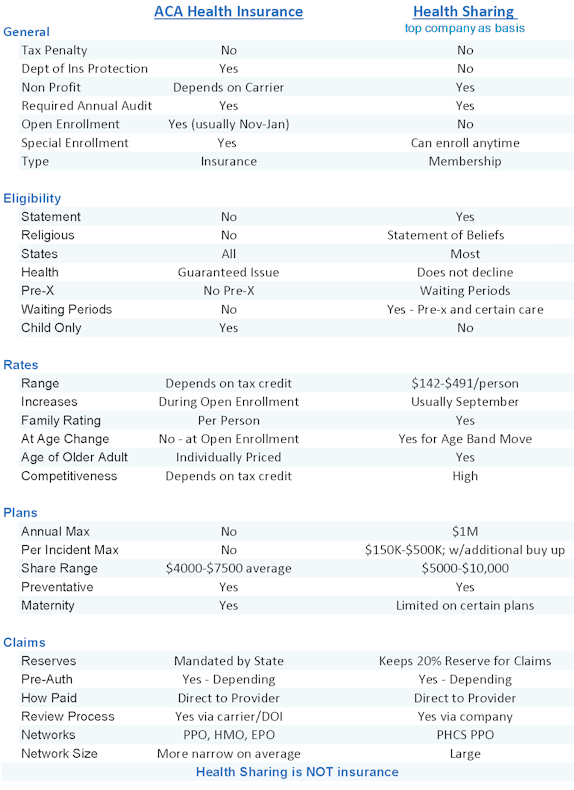 Check out our health insurance versus health sharing for more detail on how to compare the two. Health sharing plans work well for many people. If you have ongoing or serious health issues now, health sharing probably doesn't make sense. This is because of the waiting period for pre-existing conditions. AlieraCare plans has a 2 year waiting period for pre-x from the time of enrollment. This means they won't pay out for expenses related to a pre-x condition for 2 years. Take this into account when considering health sharing. There are also waiting periods (shorter) for new situations from time of enrollment (pregnancy, cancer, etc). Mental health is not a covered benefit with health sharing plans. That's a big difference. If pregnancy is planned, it probably makes more sense to go with health insurance. At least for the mother! You can mix and match plans. For example, if one spouse has prexisting conditions, get ACA health plan for him/her and get AlieraCare for the other spouse with no issues. We see this approach all the time. For all these reason, we provide the member's guide here so everyone can really see how the plans work. Otherwise, health sharing becomes a question of comparing annual costs versus the limitations of coverage described in the member's guide. 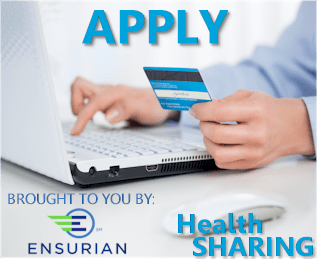 When can you enroll in health sharing plans? 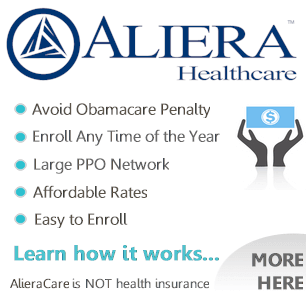 There's no Open Enrollment with AlieraCare health sharing plans. The only impact is on the effective date. If you enroll between the 1st of the month and the 15th, you can get the following 1st of the month as the earliest date. If you enroll between the 15th of the month and the end of that month, you can get the 15th of the following month as the earliest date. For many people outside Open Enrollment, health sharing plans like AlieraCare will be the only option (other than short term which has duration limits and the tax penalty). We can enroll anytime during the year with AlieraCare and pro-rate the tax penalty on a monthly basis. Is there a tax penalty with health sharing plans? Health sharing plans like AlieraCare allow you to avoid the tax penalty which is usually 2.5% for people who do not qualify for a tax credit. If you make $50K as an individual, you could pay us $1200 in tax credit. That pays for a big portion of the health sharing plans. Worst case, get AlieraCare's catastrophic plan to avoid the tax penalty. Many people enquire about the lowest price way to avoid the tax penalty. That's AlieraCare's CarePlus Advantage plan. With either AlieraCare's Standard plans or their Careplus Catastrophic plans, you have an exemption from ACA tax penalties. So much so that we created a separate, comprehensive comparison of health insurance and health sharing. Health sharing is not insurance. Below is a nice introduction to their differences but we really recommend reading further at the article above. Of course, we're happy to help with any questions. There's definitely more since health sharing is new to most people but growing very quickly. We always recommend reading the Member's Guide below that gets sent out AFTER a person enrolls. This really gets into the nuts and bolts of how health sharing plans work with AlierCare's Standard Plans (Value, Plus, and Premium). If you need additional information or have questions, please feel free to contact us at 800-320-6269 or by email. Our services are free to you as licensed AlieraCare agents!